Sorry for the lack of updates here! I had been busy preparing for a big deadline in April (coming very very soon) and I will be away for a little bit, sneak previews and early news will be posted on my patreon at puppy52.com (some news will be public – free for all followers and those who pledged an amount will get first dibs/news!) as it is a little bit easier for me to update through my phone without being affected by stupid algorithms — I don’t have my computer with me all the time to update word press blog here, also if you are curious why did I start a patreon you are very welcome to check it out! Below is a sample of goodies (in hi res) pledged patreons will get) Direct link here. 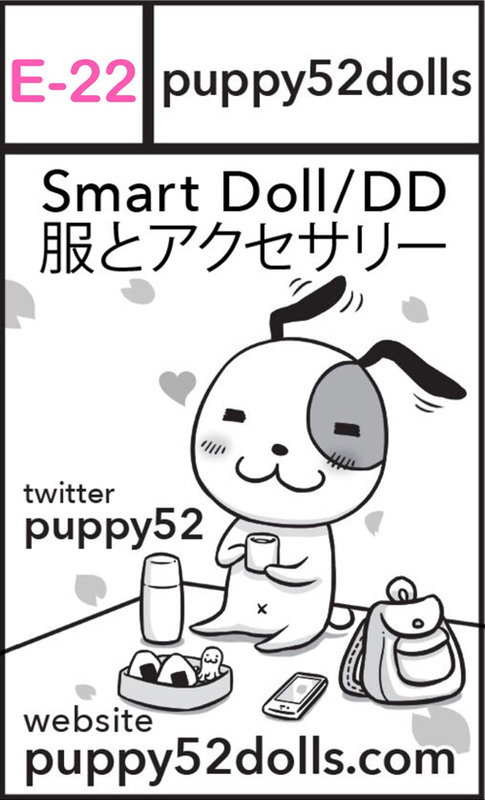 I have also announced on twitter @puppy52 about iDoll in Nagoya if all goes smoothly I will be there on 15 April 2018 booth number E-22, some items will be debuted there first :) Sorry again for the silence!